Folk's research interests focus upon using molecular biology and biotechnology to improve human health and reduce disease. 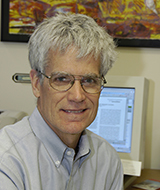 He leads an NIH funded international research center to study the scientific basis of traditional phytotherapies used for HIV/AIDS and secondary infections in South Africa. The major interests of his laboratory at MU is the use of biotechnology to improve plant protein nutritive quality for resource poor areas of the world, and studies of the molecular biology of cancer and infections by polyomaviruses. Fu X, Li XC, Wang YH, Avula B, Smillie TJ, Mabusela W, Syce J, Johnson Q, Folk W and Khan IA. Flavonol glycosides from the South African medicinal plant Sutherlandia frutescens. Planta Med 2010;76(2):178-181. Avula B, Wang YH, Smillie TJ, Fu X, Li XC, Mabusela W, Syce J, Johnson Q, Folk W and Khan IA. Quantitative determination of flavonoids and cycloartanol glycosides from aerial parts of Sutherlandia frutescens (L.) R. BR. by using LC-UV/ELSD methods and confirmation by using LC-MS method. 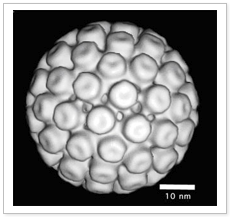 Journal of Pharmaceutical and Biomedical Analysis 2010;52(2):173-180. Lu L, Wu X, Yin X, Morrand J, Chen X, Folk WR and Zhang ZJ. 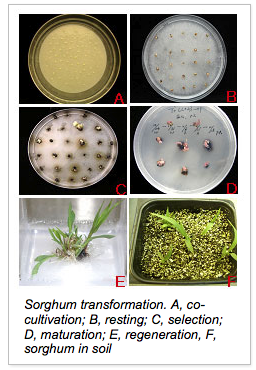 Development of marker-free transgenic sorghum [Sorghum bicolor (L.) Moench] using standard binary vectors with bar as a selectable marker. Plant Cell, Tissue and Organ Culture 2009;99(1):97-108. Reid SE, Mulenga LB, Folk WR, Tambatamba BC and Chi BH. Abandonment of antiretroviral therapy: A potential barrier to scale-up in sub-Saharan Africa. South African Medical Journal 2008;98(6):448-450. Fu X, Li XC, Smillie TJ, Carvalho P, Mabusela W, Syce J, Johnson Q, Folk W, Avery MA and Khan IA. Cycloartane glycosides from Sutherlandia frutescens. Journal of Natural Products 2008;71(10):1749-1753. Wu XR, Chen Z, Shende A, Dooner HK and Folk WR. Visualizing bz1 missense suppression in Zea mays: An assay for monocot tRNA expression and utilization. Plant Molecular Biology 2006;61(4-5):795-798. Thamburan S, Klaasen J, Mabusela WT, Cannon JF, Folk W and Johnson Q. Tulbaghia alliacea phytotherapy: A potential anti-infective remedy for candidiasis. Phytotherapy Research 2006;20(10):844-850.